The original lock didn't have cloud connectivity until last year. It looks like Kwikset isn’t about to make the same mistake twice. On Tuesday, the company released the second generation of its innovative Kevo lock, this time making Internet and smart home connectivity a top priority. The original Kevo lock dazzled with its ”touch to open” functionality when it debuted in 2013, which worked through a Bluetooth connection to your phone and tech from Unikey Technologies. There was one big problem, though: it was worthless without your phone nearby, or unless the visitor at your door had the associated app installed. Kwikset knew this was an issue and promised remote access in short order. That never happened until October of last year, long after competing smart lock manufacturers had offered its customers the same, and some at a much cheaper price (although without the one touch access). This arguably set Kevo back, and made it a far less attractive option for connected home owners looking to upgrade their door locks. That’s no longer the case. The second-generation lock looks and works almost identical to the original, but it's far more connected to the rest of the smart home ecosystem. While the new Kevo isn't yet supported by any smart home platform, individual devices can connect in. The list is pretty impressive, too. It includes connectivity to the Nest and Honeywell Total Connect Thermostats to save on HVAC costs when you’re not home, support for the Ring and Skybell HD doorbell to unlock the doors remotely for those without a SmartKey, and support for Android Wear allowing for unlocking from your smart watch. That's all on top of some improvements to the Kevo lock itself, including a dramatically reduced interior size, easier setup, and better SmartKey security to prevent digital lock picking and key spoofing. 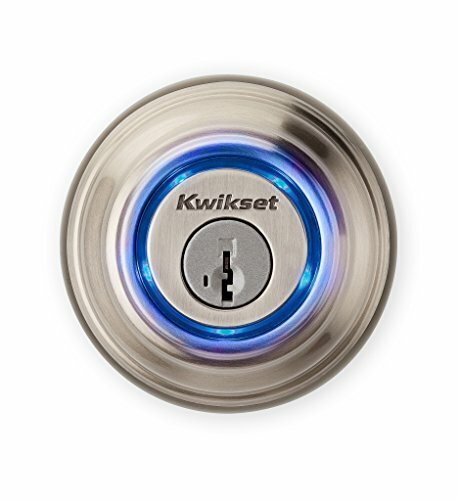 "Kwikset listened to homeowners’ everyday experience with Kevo first gen and put their feedback at the center of the Kevo second gen development strategy,” vice president Keith Brandon explained in a statement. The new Kevo is immediately available for $229 on Amazon in three colors: satin nickel, venetian bronze, and polished brass. Why this matters: With most smart homeowners looking to upgrade more than just their locks, making connectivity a priority in the second generation Kevo lock is a smart move. It’s quite likely that we’ll see additional third-party devices supported in the coming months, and perhaps some platforms like Samsung’s SmartThings too.